America’s Founding Principles: Do unto others as you would have them do unto you? Only USA taxes based upon the status of US citizenship, regardless of their place of residence. Government services are the responsibility of the place of residence. Citizen Rights are not purchased by taxation. Consular services are fully funded by consular fees and have nothing to do with taxation. 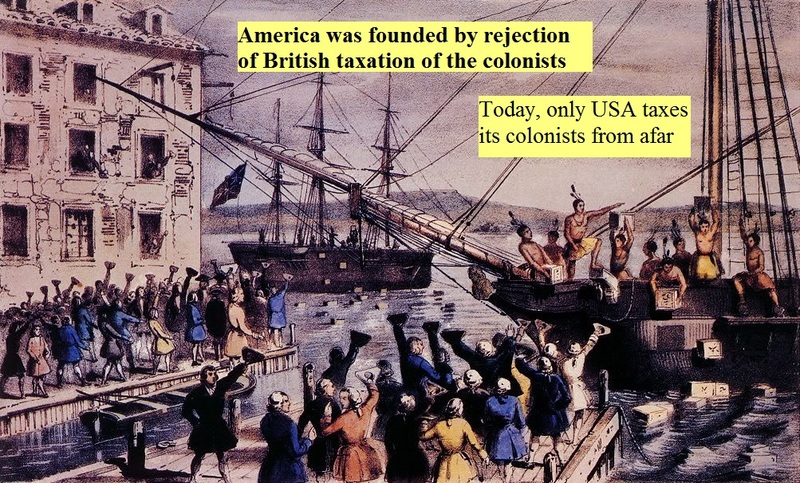 America’s extra-territorial taxation was originally created as a method of PUNISHMENT for civil war deserters. The Civil War is over. Let’s return to the founding principles . It is time for double taxation of US citizens living outside USA to end. 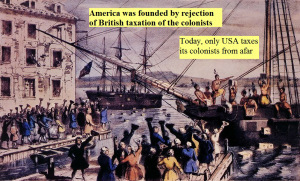 Eliminate Ciizenship Based Taxation (CBT) in America and return America to the principles upon which it was founded. This entry was posted in Uncategorized on June 13, 2015 by renounceuscitizenship. This entry was posted in Uncategorized on June 5, 2015 by renounceuscitizenship. Looks like the Revolution of #Americansabroad is almost here! The comments are simply amazing. A revolution is clearly coming! It’s amazing to me that there are still people who see this as a partisan issue. This entry was posted in Citizenship-based taxation, Civil Forfeiture, Constitutional issues, Land of the free and tagged Americans Abroad, FATCA, FBAR on June 4, 2015 by renounceuscitizenship.